Moorea-is everyone’s dream of a Polynesian paradise and is just 12 miles away from Tahiti. 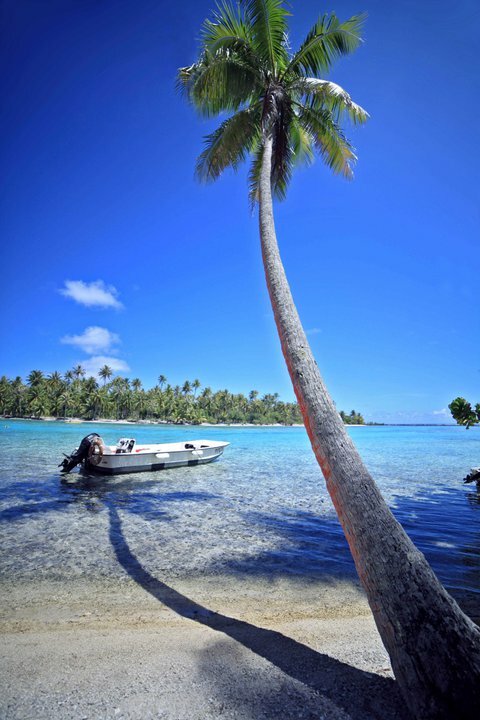 Some of the less popular, but no less spectacular are Taha’a, Raiatea, Huahine, and a bit further away, the Tuamotu Islands include Rangiroa, Manihi, Fakarava and Tikehau. 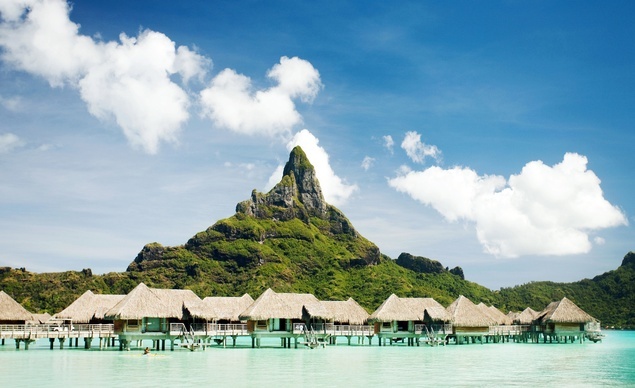 Why is Tahiti such a great honeymoon destination? Tahiti is a great honeymoon destination because of its natural beauty, unspoiled land, great food, unique overwater bungalows, pristine blue ocean, and magnificent soft coral beaches. It’s far enough away to be exotic and not someplace you are likely to be able to visit time and time again. Tahiti is a paradise and certainly offers bragging rights to honeymooners. It is the kind of place that most people can only dream of! Just about 8 hours from Los Angeles, Tahiti is based in the same time zone as Hawaii so you don’t cross the international date line. Their seasons are reversed with our summer being their winter. Even with the change of seasons, the difference in temperature is only 5-10 degrees warmer in their summer (November through April) and since the islands are cooled by gentle ocean breezes, the climate is ideal. French Polynesia’s climate features sunny, pleasant days and an average yearly air and water temperature of 80 degrees. Summer is from November through April, when the climate is a bit warmer and more humid. Winter is from April through October, and the climate is slightly cooler and less humid. July and August will likely be the coolest months. Their summer months can be rainier so if there is a best time to go, it might be May-October. What is a perfect itinerary? When honeymooners ask about the perfect itinerary for Tahiti, we have to find out what is most important to them. Coming from the East Coast, most or our honeymooners will stay for 10 or more nights. Some will stop off in the island of Tahiti to break up the flight and do a bit of shopping but others will go directly to one of the outer islands directly. If you are going to Tahiti, our advice would be to visit multiple islands since each is so different. Talking about budget, how expensive is it to go to Tahiti? While everyone’s budget is different, Tahiti is typically not an inexpensive destination. With an average price tag of $10,000, this price can vary based on the season, length of stay, accommodations and included excursions. The best values will be in Tahiti’s summer season (November-April) when the cost of airfare and resorts may be less. Airfare from Los Angeles can run $1500+ per person, so that can take a pretty significant bite out of anyone’s budget. What kind of unique accommodations make Tahiti so popular for honeymoons? The Overwater Bungalows is the magnet for honeymooners. Just imagine getting served breakfast on your balcony that is delivered by an outrigger canoe. Imagine diving right into the turquoise waters of the ocean right outside your doorstep. These bungalows are on stilts that are elevated from the water. At night, turn on the lights which are under your bungalow and pull open your glass door and feed the fish. Your bungalows have complete privacy from your neighbor. What can be more romantic? A honeymoon to Tahiti is a trip of a lifetime, with magnificent memories and an opportunity to have bragging rights to your friends that you stayed in an overwater bungalow in one of the most beautiful places in the world. If Tahiti is on your honeymoon wish list, contact My Vacation Lady and schedule your honeymoon consultation. See how My Vacation Lady has earned the top status of all honeymoon specialists located in New Jersey on both Wedding Wire and the Knot’s Wedding Channel.